‘You can learn from your failures.’ ‘Entrepreneurship is trial and error.’ These statements are hard to disagree with, but in reality it is not that simple. More than ever, we wish to be successful and erase all traces of mistakes and failures as soon as possible. This is not only a pity, but potentially dangerous as well, says professor Paul Louis Iske. Only when we dare to face what we do wrong can we make a thorough analysis and avoid unnecessary recurrence and disappointments. Fear of failure impedes creative thinking and innovation. This compelling book shows you how to develop a culture of openness in your organization and how failure paradoxically leads to significant progress. 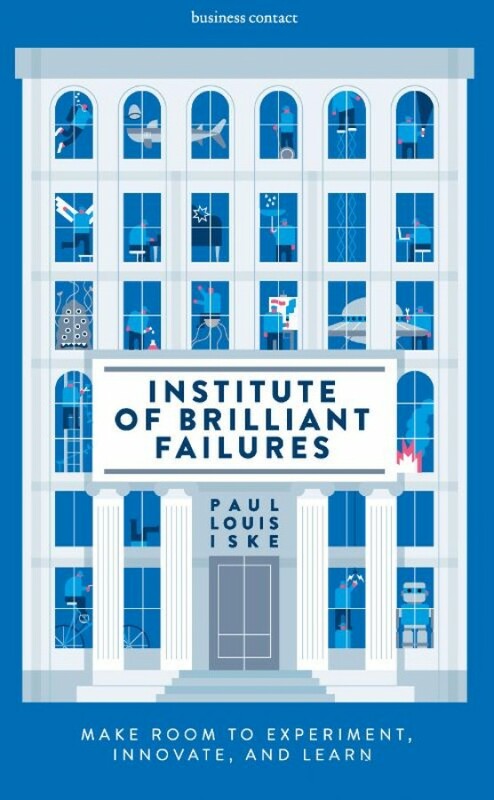 Institute of Brilliant Failures teaches you how to recognize recurring failing patterns at an early stage, how to harvest essential learnings and how to embrace uncertainty.